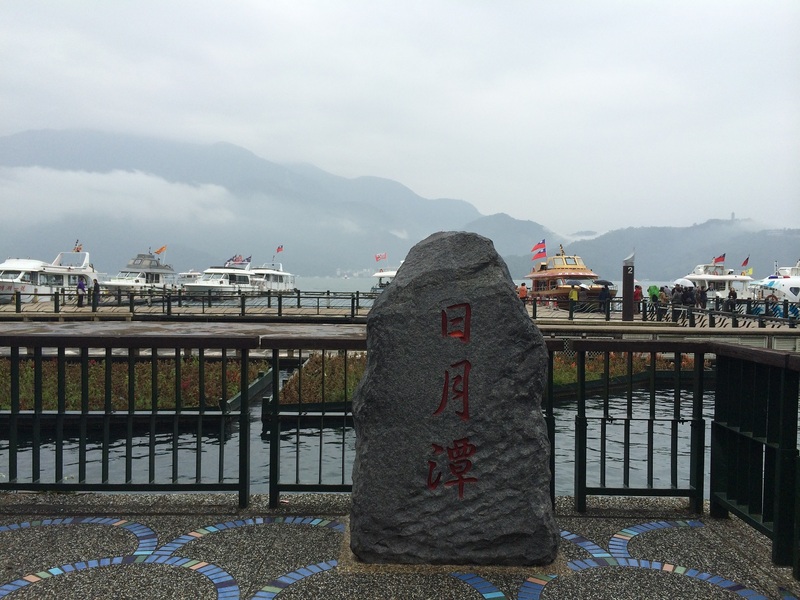 Located in Nantou County, the Sun Moon Lake is the largest lake in Taiwan and is famous for its clear turquoise waters and scenic surroundings. A popular spot for couples to have their wedding photographs taken, the Sun Moon Lake is also a favorite getaway spot for the locals. 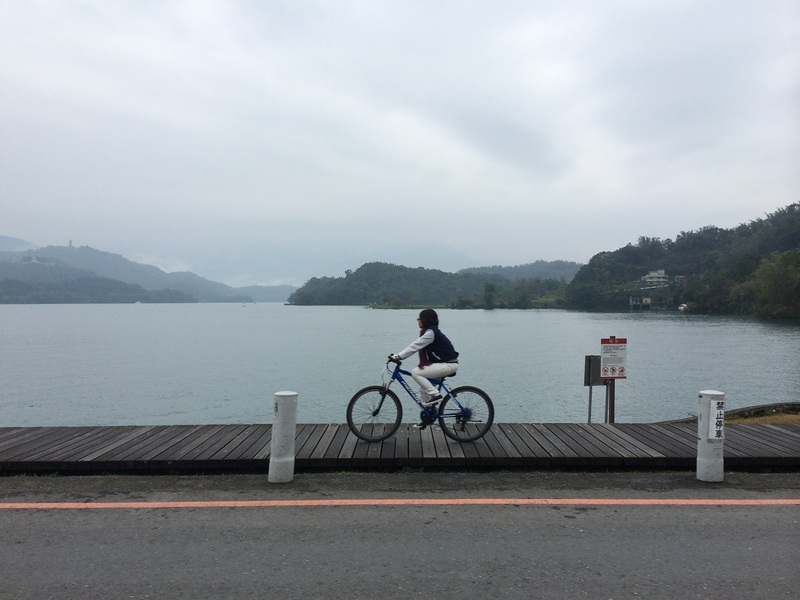 The cycling trail around Sun Moon Lake was voted as one of most scenic route in the world by CNN Travel in 2012. With a surface area of approximately 7.93 km2 (3.06 sq mi), the lake is said to be 27 m and 748 m above sea level. As the southern part of Lalu Island (which sits in the middle of the lake) is shaped like a new moon, and the northern part is shaped like a sun; and hence the name Sun Moon Lake. 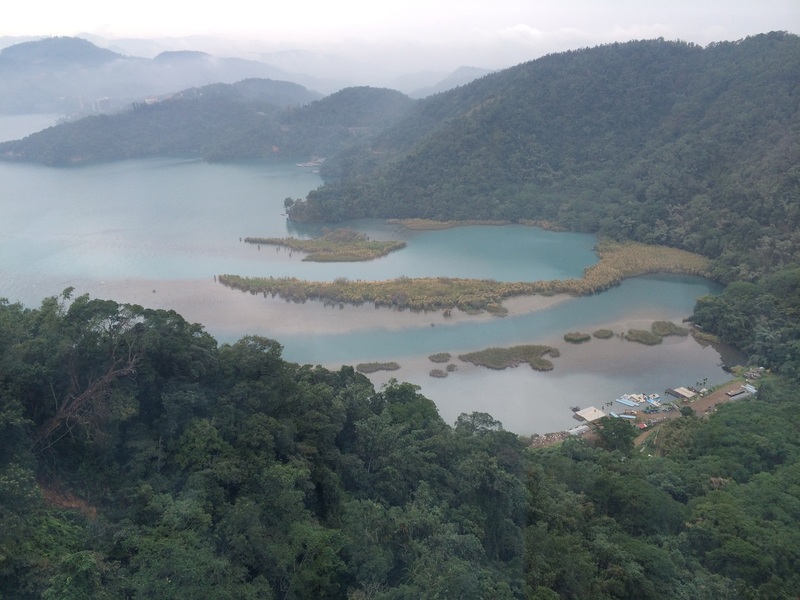 The lake and its surrounding countryside have also been designated as one of thirteen national scenic areas in Taiwan. The fastest way will be to take the high-speed rail to Taichung. From there, you can choose to take a bus or a taxi. For convenient sake, we have rented a van for the day so transportation is well taken care of. But you don’t mind making multiple transfers by bus, you can check out here for more details. However, my recommendation is definitely to rent a local van service with a driver if you are traveling in a group and would like to save the hassle of finding your way around the rural areas. 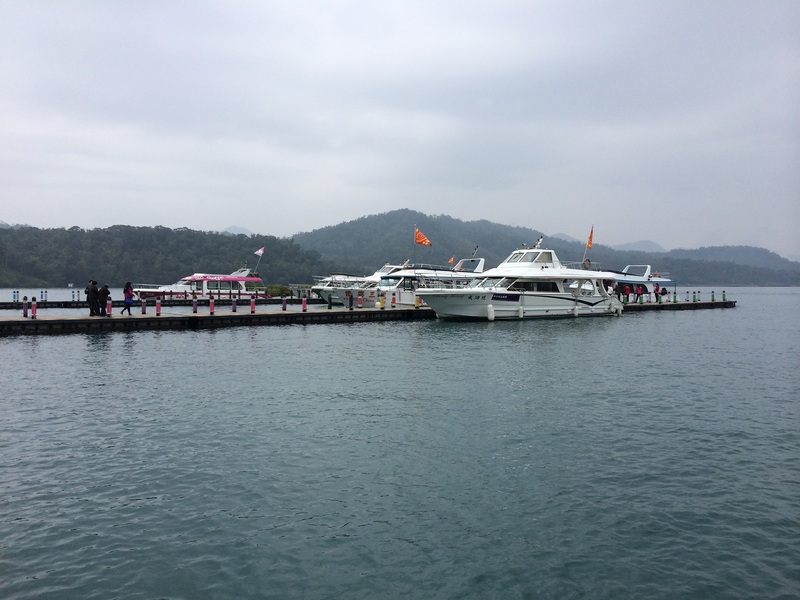 The best way to tour Sun Moon Lake would be a boat tour. Upon reaching the Shueishe Pier (either by taxi/bus/private transportation), you will be able to see lots of tourists gathering and locals peddling boat tickets. There are so many of them that you will have no lack of choices, but an adult ticket typically should not cost more than NT$300 (this is where having a hired driver will help you to bargain for the best possible deal with the seller… Be nice! 🙂 Within just half an hour, and the boat is ready to go! 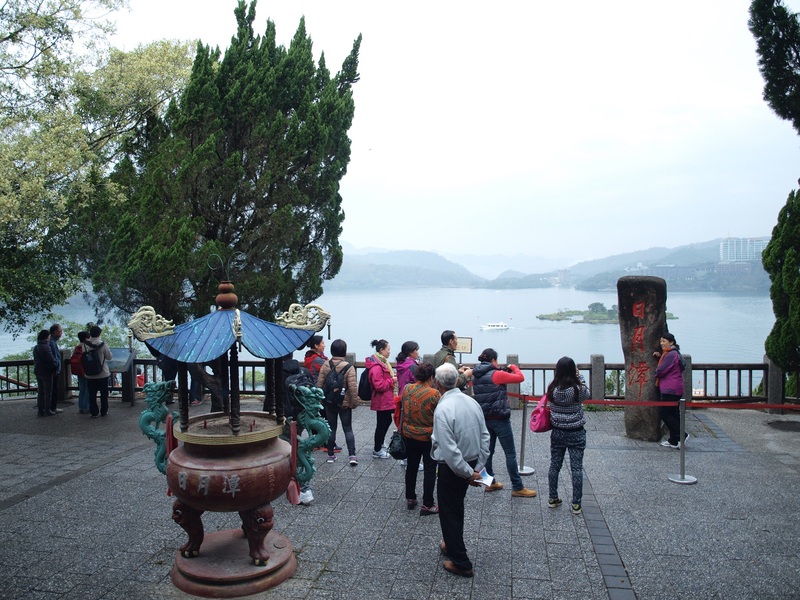 Some notable attractions within the Sun Moon Lake area include the Wen Wu Temple (文武廟), Ci En Pagoda (慈恩塔), Xuanzang Temple (玄奘寺), Xuanguang Temple (玄光寺） and of course, the famous Jin Men Ah Ma Cha Ye Dan (金门阿么茶叶蛋). 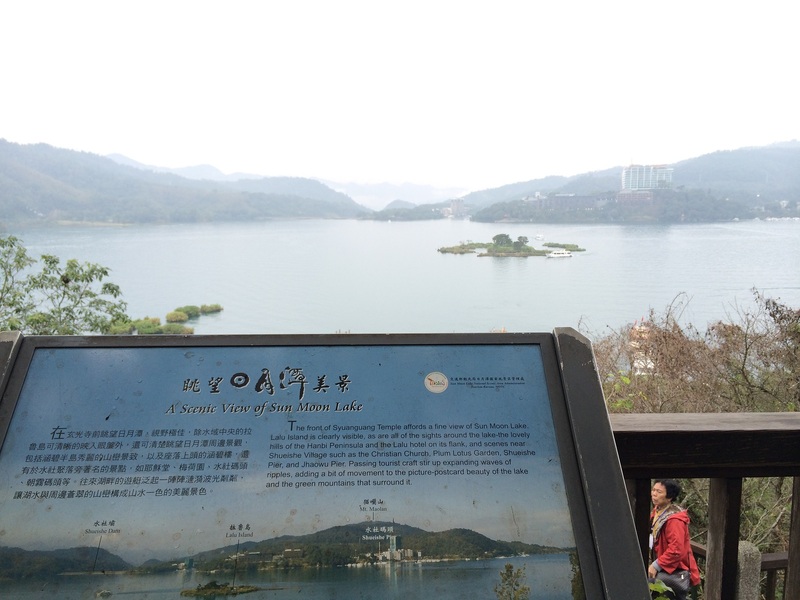 As the boat went around the lake, the tour guide on board gave us a brief background of Sun Moon Lake. 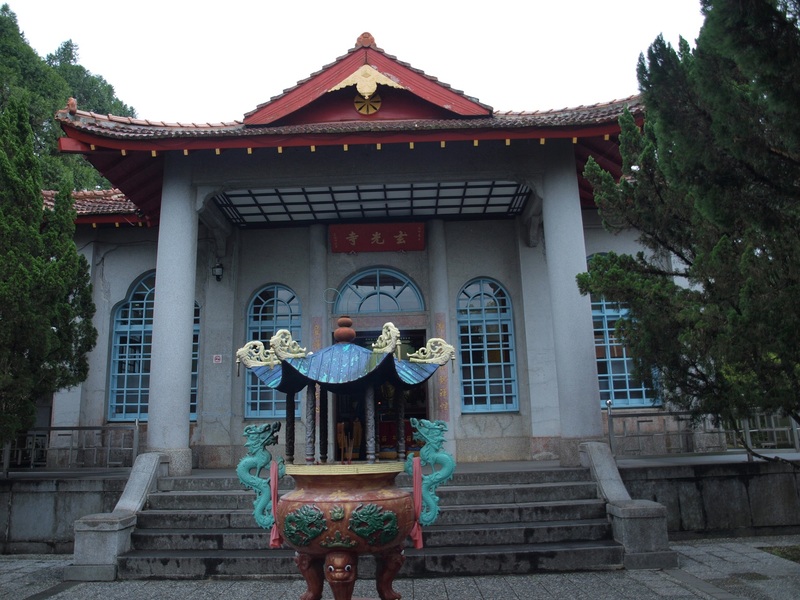 From the story of Ci En Pagoda – built by the late President Chiang Kai-shek in memory of his mother, to the aboriginal history of Lalu island, the tour is informative to those who are interested in local history and culture. After about 15-20 minutes, the boat docked at Xuan Guang Si pier. 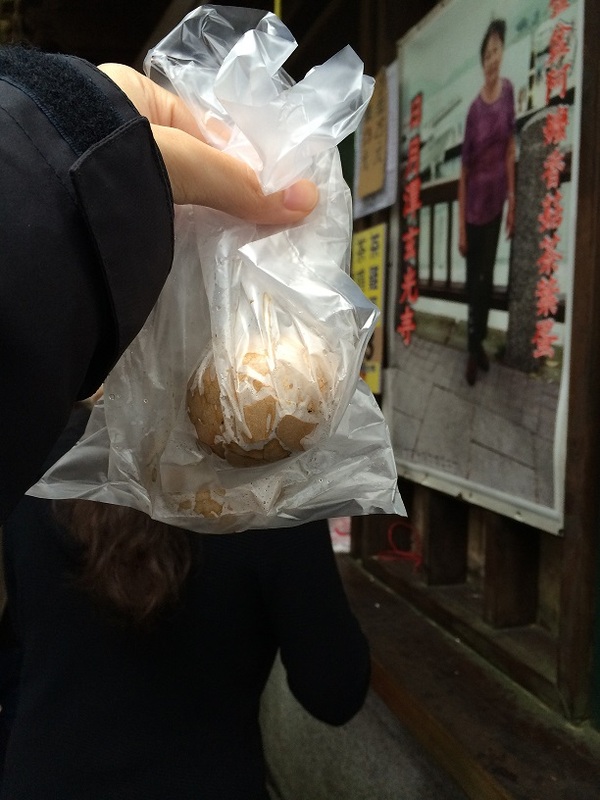 Besides visiting the famous Xuanguang Temple (玄光寺）here, you must also not forget to have a taste of the famous braised tea egg! Jin Men Ah Ma Cha Ye Dan (金门阿么茶叶蛋) – you can’t missed it. 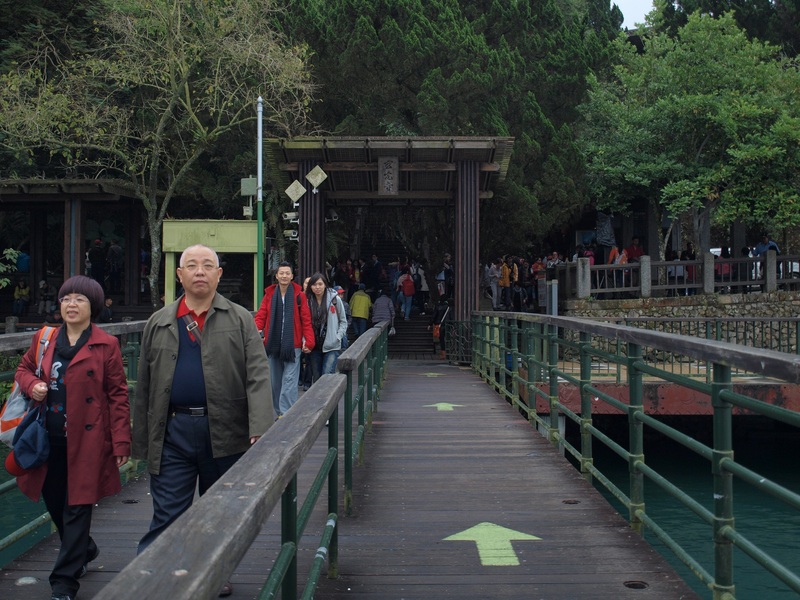 Upon reaching the pier, you will see a long queue of people at a small hut. 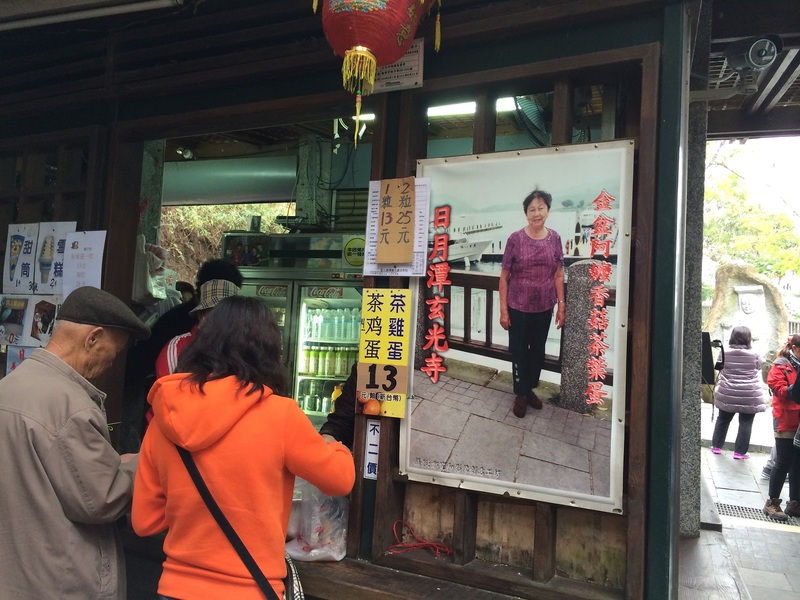 The guide told us that the ‘grandma’ selling the famous tea egg did so when she was in her thirties until now, she’s already in her sixties and still selling. But as she got so famous and rich selling tea eggs, she actually became a millionaire! It sounds a little exaggerated, so I’m not exactly sure how true is this rag-to-riches story. Finally got my hands on the famous braised tea egg! My nephew ate two of it at one go. Two! After having warm, delicious tea eggs at the pier, we began our climb uphill to the Xuanguang Temple (玄光寺）. Xuanguang Temple (玄光寺）, located 2.5 kilometers from the Xuanzang Temple, was built in 1955 where the relics of the famous Buddhist monk, Xuanzang, are enshrined here. A great contributor to the spread of Buddhism in China, Xuanzang was ordered by the Tang emperor to go India to seek for Buddhist scriptures. After having been away for more than a decade, he brought back more than 650 sutras and 1,335 scrolls to China. The crowd outside the temple. 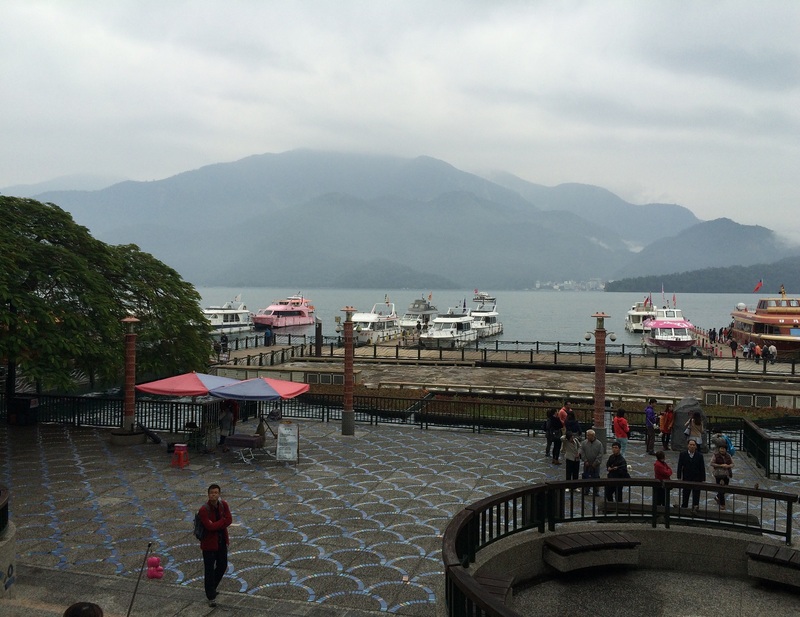 A scenic view of Sun Moon Lake from the temple hill. It was a short boat tour, but nice to have a look around the lake. We didn’t stay longer because of our packed itinerary, but I think if you have time to spare, it will be nice to do a cycling tour too. As it was winter time, the surroundings were quite foggy and dim (even though it was midday!). But if you are here in the morning, why not consider going to the nearby theme park in the afternoon? Also known as the Formosan Aboriginal Culture Village, this amusement park is definitely a delight for families with children and preteens!